Project Description: The project was undertaken to address repeated flooding and to reduce risk to the citizenry and private property. Specifically, the project acquired and removed five (5) properties with HMGP funding and five (5) additional properties with RFC funding. These vulnerable structures were constructed within the Bull Run (Limestone Run) floodway, resulting in repetitive flooding. In Union County and the Borough of Lewisburg, development has been pursued often times in naturally occurring floodplains. As a result, the available alternatives for mitigation action have typically focused on property protection measures. Altering the waterway and changing land management practices have not been feasible or practical. If the structure were left in place and remained, it is certain that flooding in the future would damage the properties/structures, and the safety of the residents would surely be questionable. Given the current age and condition of the structures, having been repeatedly flooded throughout the years, elevation or relocation of the structures was not a viable option. 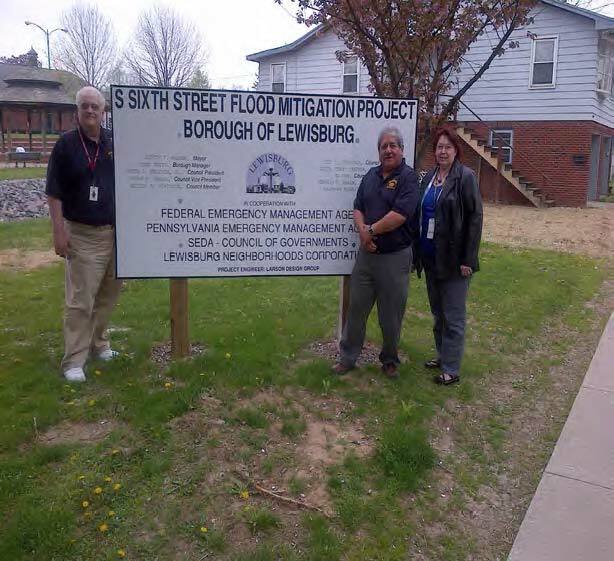 The Borough of Lewisburg has suffered the effects of floods since before it was established in the 1700’s and, as recently as 2011. Some of the events have caused significant loss of both life and property in the Borough. Flooding is expected to occur once every three years, with an estimated annual loss of $1,305,932. Given the location of the structures within the floodway and their usage, there is significant risk remaining to individuals and rescue responders in the area. 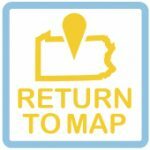 The acquisition and demolition of these ten (10) properties has reduced the potential loss of life and property in Union County, thereby, reducing the community’s reliance on disaster resources and the National Flood Insurance Program (NFIP). The goal of the Borough’s monumental undertaking was to ensure public safety, while minimizing future losses and reducing expenditures due to flooding. We are happy to report that these goals have now become reality and could not have been done without the Grants and technical assistance from FEMA and PEMA. As part of the funding, in the particular context of mitigation projects for the purpose of creating open space, deed restrictions have been placed on the ten (10) properties acquired by the Borough. As part of the acquisition of the properties, deed restrictions were recorded for each property; enforcing the requirements of 44 CFR 80 to ensure that each remained as open space use in perpetuity. The Borough acknowledges it’s responsibly for reporting on property compliance with the open space requirements during the Period of Performance (after acquisition) and after the Grant closeout. Likewise, the Borough will submit to PEMA and FEMA, in writing, proposed uses on the property (if any such proposals are made) for open space compatibility determination; and monitor and report, as needed, on property compliance. Furthermore, the Borough acknowledges that each property is no longer eligible for coverage under the NFIP for damage to structures occurring after the date of settlement; and as such, the properties will be dedicated and maintained in perpetuity as open space for the conservation of natural floodplain functions. Issues Encountered: The ten (10) properties acquired and demolished with HMGP and RFC funds were off-campus student housing rentals for those who attended Bucknell University. Acquiring these highly sought after rentals was difficult at first; however, Bucknell University issued a new off-campus housing policy that mandated the vast majority of its students move back on campus. With the new policy, some of the property owners became more interested in the buyout of their property and were willing to work with the Borough through the voluntary acquisition of their property. For example, a property owner that at one time voluntarily dropped out of the project requested that the Borough allow the property to again become part of the buyout. Therefore, the Borough worked closely with the property owner and PEMA to request a Period of Performance (POP) extension. The Period of Performance has been extended and the Borough has acquired and demolished all ten properties to-date. Funding Stream(s): Lewisburg Borough was approved for $1,383,922 (75% federal share and 25% state share) in Hazard Mitigation Grant Program (HMGP) funding on January 31, 2012, for the acquisition and demolition of 44, 54, 108/110, 204/206, and 208/210 South Sixth Street, located in the Borough of Lewisburg. 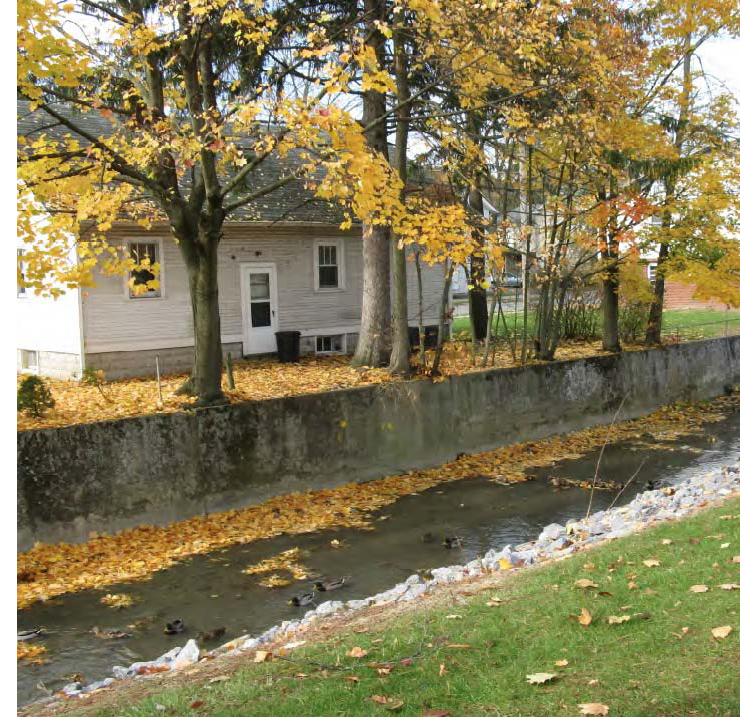 On March 13, 2012, Lewisburg Borough was approved for $1,470,400 (100% federally funded) of Repetitive Flood Claims Program (RFC) from PEMA for the acquisition and demolition of 40, 102, 112/114, 120 and 138/140 South Sixth Street, located in the Borough of Lewisburg.